A tap at the cabin door and the volume of the horn tells us we are slowing and arriving into Memphis. We're on time at 6.00am. Fortunately despite the horn interrupted sleep we both feel quite awake. Our bedroom has its own bathroom but its quite a small thing so we both use the downstairs shower rooms - nobody else is up or has used them - the only people getting off in Memphis must be either in Coach or in the next sleeper carriage. The showers are big, clean and work well (though its a challenge to keep upright when the train rocks about) - you have a private changing area in the shower stocked with sealed fresh towels. We leave the train and thank Ryan, our carriage attendant then head through the station - the train sits here in Memphis for two hours so luckily we don't have to be back until 8.00am in the next morning. The sun is just starting to rise and there's hardly a cloud in the sky. 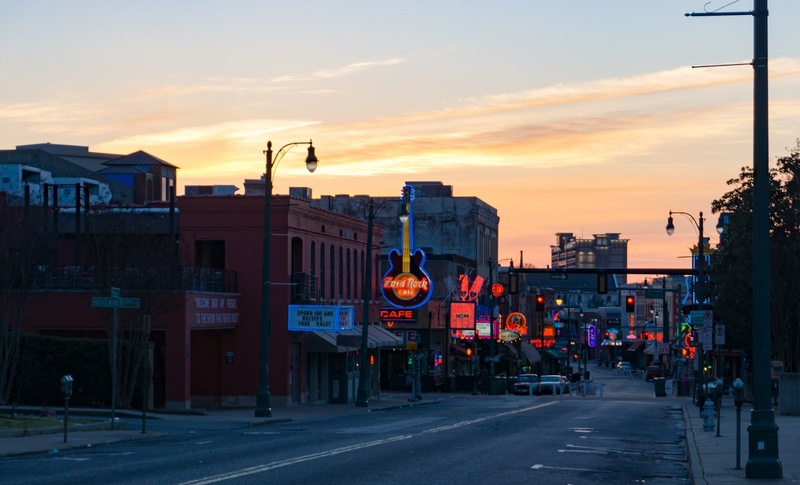 Memphis is a really nice place. Its low slung and unassuming - the few high rise buildings are in the Central Business District and there's just one key road that leads from the station towards this area - which is where our apartment for the night is. Old style trolley ( street car) lines run up and down this and we know from our little map that if we follow these we will arrive at the intersection for the hotel. The station's in the historical district and is another impressive station building, the largest in this area. The rest is made up mainly of one storey shops and restaurants and at this time of the morning is quiet and deserted. In fact if a tumble-weed ball rolled across the street it would not look out of place. The trolleys don't actually start running until 8.00am and the breakfast diner we had spotted across from the station opens at 7.00am so we decide to set off walking into town. It probably takes about 30mins but certainly gets rid off any remaining sleepiness. We pass a deserted Beale Street on the way (this is the main Music district of Memphis) jammed full of bars - and restaurants - and lots of live music. I had emailed the hotels front desk previously to inform them we would be arriving early and would they at least be able to store our bags - so its a delight when they say they actually have a room ready for us. 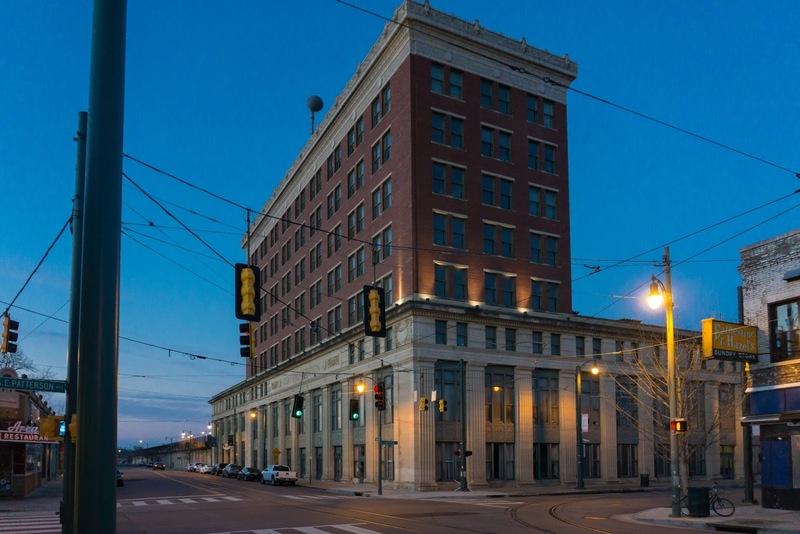 We stayed at The Exchange Suites on 9 North 2nd Street and its more an apartment block than hotel with some available for holiday rentals. So after finding our room for the night - which consists of kitchen, living room, bathroom and bedroom - we are back outside looking for breakfast - which turns out to be "The Arcade" - our initially planned spot, as its now open. 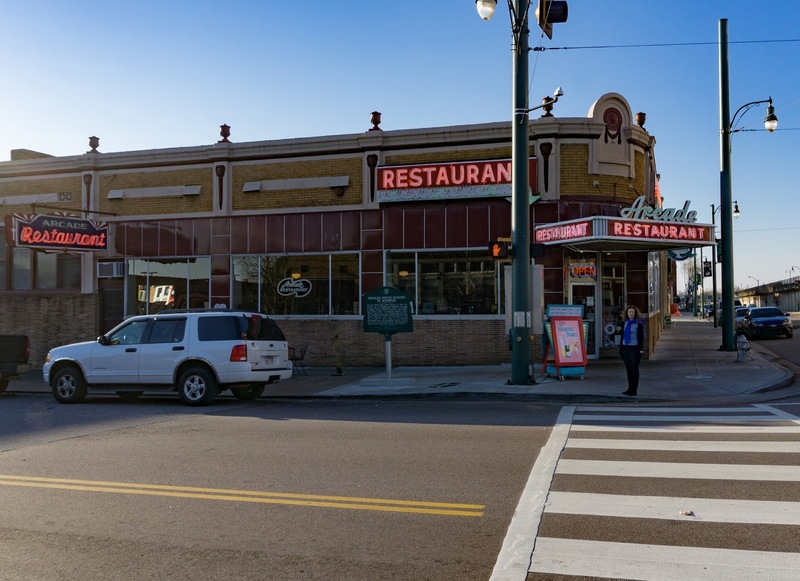 The Arcade claims to be the oldest diner in Memphis having occupied the site next to the railway station since 1919. We indulge in blueberry pancakes, eggs, bacon, ham, country potatoes, French toast and coffee - I cant see us requiring lunch! Its still only 9:0am and the first place we want to head to "Sun Studios" doesn't actually open until 10:30 so what better way to walk off breakfast than to follow the street from the restaurant west until we hit the Mississippi River. There's a joggers track alongside it to walk along so we follow this until we are back parallel with our hotel. Panorama shot of the Mississippi River- vast, powerful - difficult to visualise but the bridges are 2 miles apart! 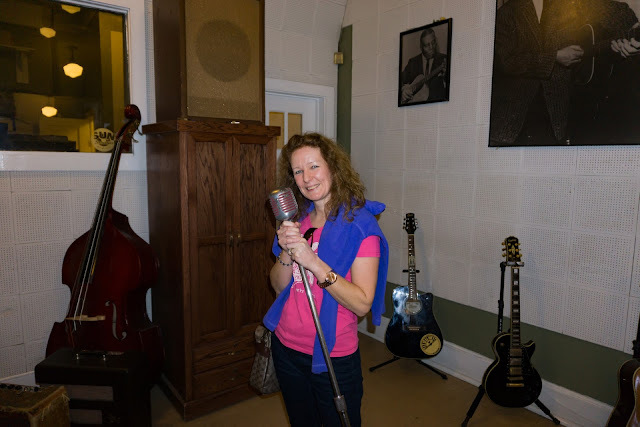 We then take the trolley from our hotel to the nearest point to Sun Studios; its cheap as chips to buy a day ticket and the driver tells us where to get out and points out a short cut through a lane we can take. It takes about 10 minutes to reach the small iconic building. We manage to get on the next available tour for the studios so spend the time choosing T Shirts. Its a tiny museum consisting of the shop, a museum and the studio itself but the tours are so well done its fascinating and worth every cent - You're taken around in small groups and with some nice low tech clips and samples your host ( Kat) really does manage to transport you back to the studio's golden age and bring its fascinating history to life. Eventually you arrive at the hallowed ground: the Studio itself. 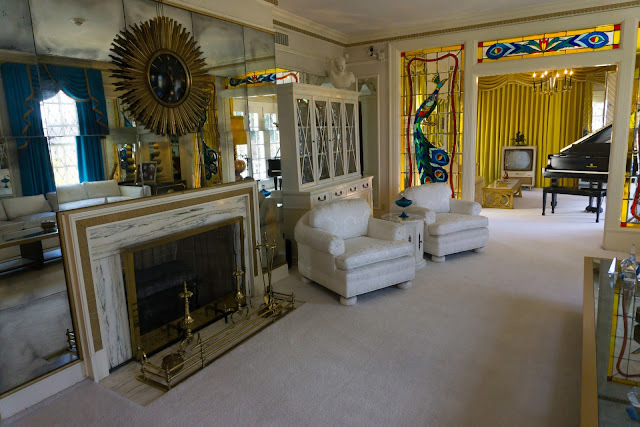 The interior walls are still tiled with the white washed soundproof cork from the days when Elvis walked in and paid to record some ballads for his mother.The entire place remains unchanged til the days U2 laid down some of the tracks for Rattle and Hum, Larry Mullen Jr's drum kit still sits in the corner even now. The story, quickly, is one of chance and luck. A boy from a shotgun shack on the boundaries of Memphis heard that Sam Philips had set up a recording studio in town. He had already become the first in the family to graduate and wanted to better himself. In "O brother where out thou style" he walked in and paid to press a couple of ballads for his mother as a present. Sam's secretary Marion Keisker loved his voice on those early private recordings but Sam was hearing and recording the music on Beale Street (Black, Blues and Rock) - and started releasing this new form of music on vinyl - Rock n Roll - by accident the first distorted guitar was even recorded due to a torn woofer. So when Marion pestered Sam to hear Elvis; he eventually gave in. His reaction was simple 'the future is not in sloppy ballads'. Finally, a band Sam really liked was brought in to make a single - yet in the studio he realised whilst the music was great the singer was not. Long story short, Marion steps in: 'why not try that Elvis guy at the front of a blues/rock n roll band'. And there you have it. 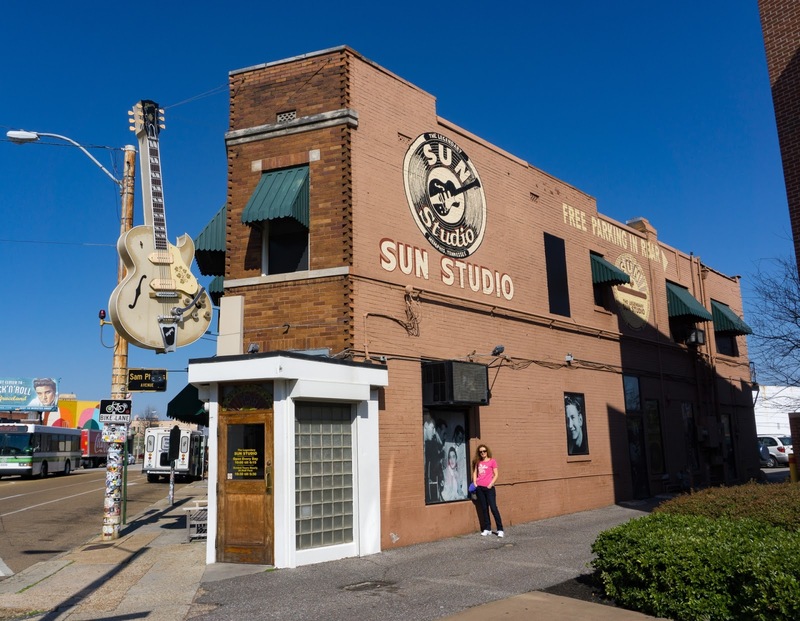 At the end of the Sun Studio tour a free bus is outside to drive you across to Graceland - its all very well timed and organised. 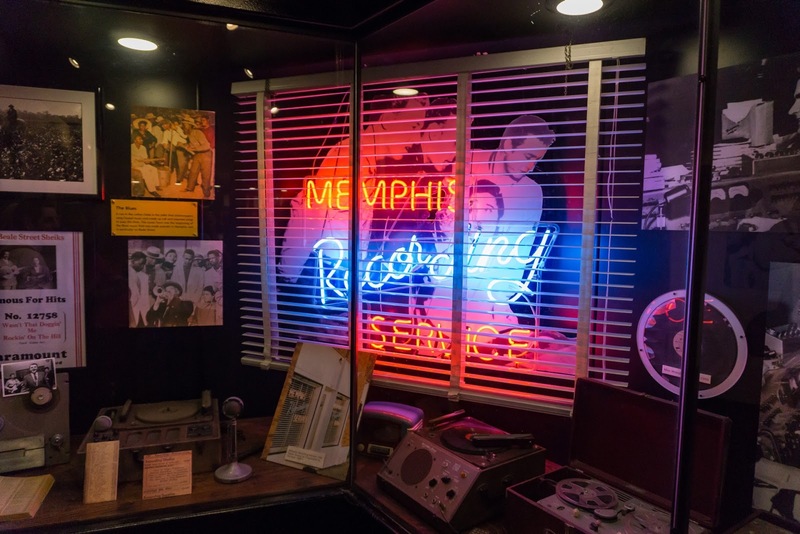 Graceland itself is about 20mins drive from Sun Studio and the bus runs on a constant circuit picking up from Beale Street - Sun Studios - and Graceland. 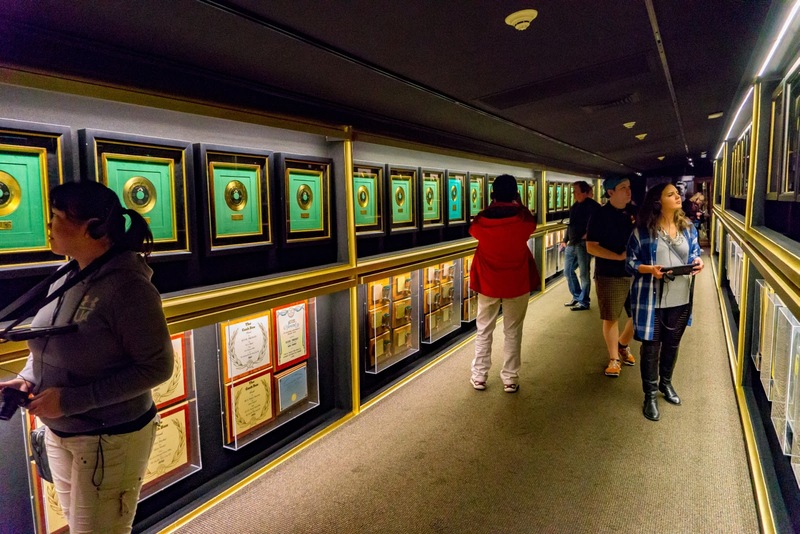 Graceland itself is now a huge operation involving audio and visual guides in the form of a tablet and headphones. 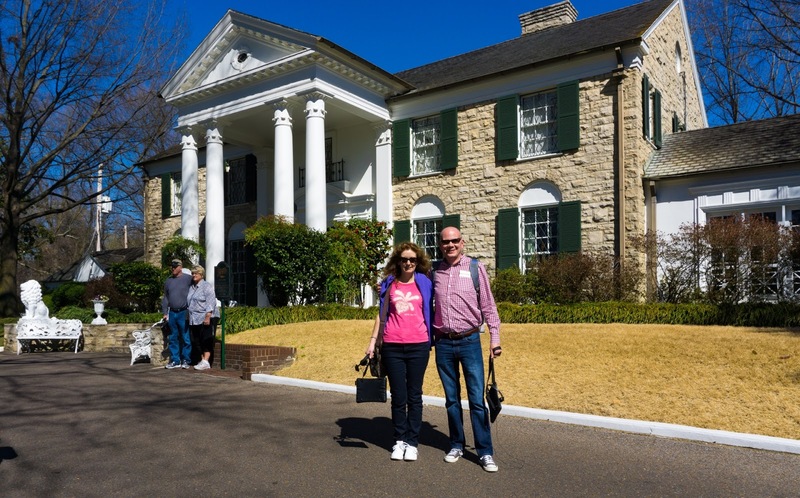 It works well - the amount of info is good and you can get extra details for each room at the push of the button.. You actually prepare for your visit at a complex on the other side of the road from where you are bussed across to the front door of Graceland. 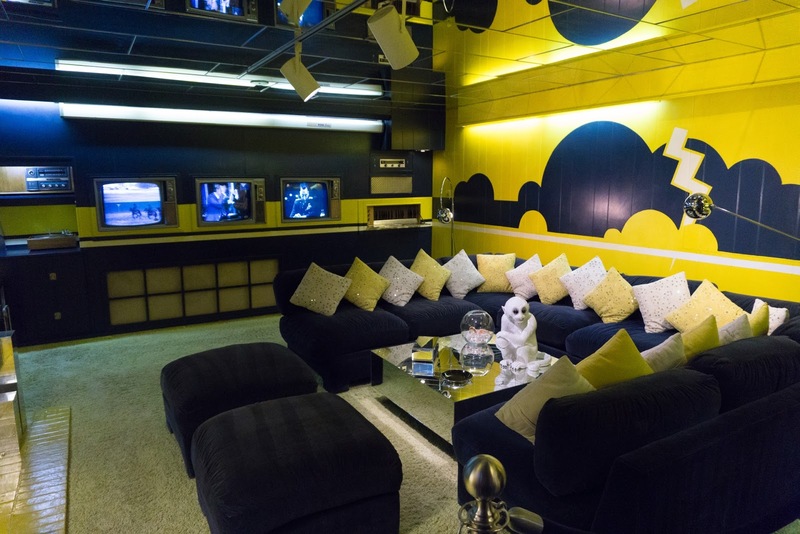 The tour takes you from the hallway into the living room, the dining room, his parents' downstairs bedroom and the kitchen before leading you down to the basement to the media room and pool room. You then re climb into the jungle room before exiting into the grounds which comprised of offices Elvis and Col.Tom Parker used. Media Room ( Boys Room!) with bar just out of sight to the right. You also get to see the racket ball building (Squash Court) with its bar and lounge - the stables, paddocks and gardens. Then its a journey through more converted stables which display endless corridors of gold/platinum awards and Grammys. I have to be honest; I thought Graceland would be a bit tacky but it isn't. Its moving and very well presented and I'm not even an Elvis devotee. 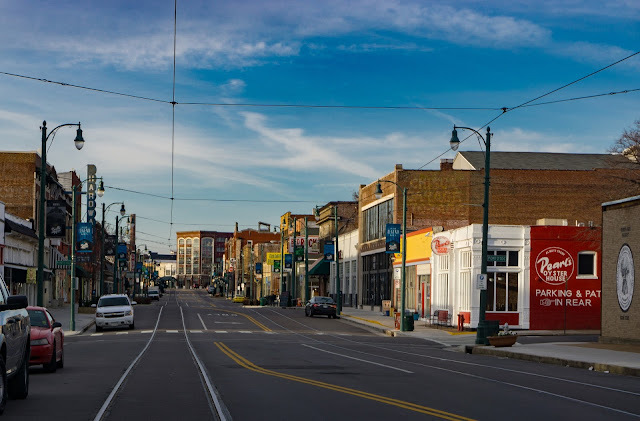 They are trying to get this whole area of Memphis back to how it was - buying up car dealerships and cheap burger bars so it can look like it did 50 years ago: open countryside and watching the horses run around in the paddock in front one can only wish them success. 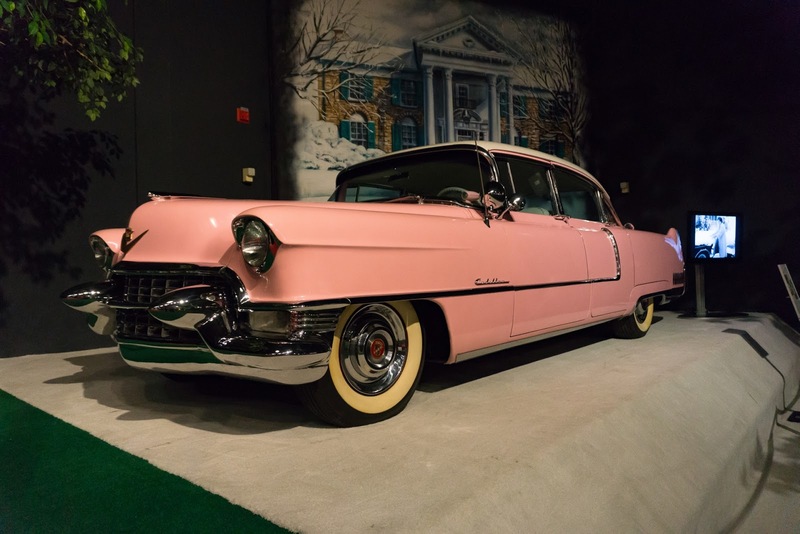 We finish the tour by wandering around Elvis' car and plane collection.